Some businesses operate in different countries at the same time. They are called multinationals. Multinational organisations in foreign countries enhance tax revenues, as well as employment. Simply put, multinationals raise a great deal of money for themselves and for others. Becoming a multinational company isn’t easy, though. What you have to do is to set up branches in foreign countries or set up subsidiaries. What is more, there are situations when it’s necessary to join forces with the competition. Nobody talks about hiring translation experts. Yes, every global business needs professional translators. Many think the exact opposite, but you shouldn’t be paying attention to those voices. In this article, we’ll talk about just how important translation is for a multinational company. By bilingual employees, it should be understood employees who are capable of speaking 2 languages. 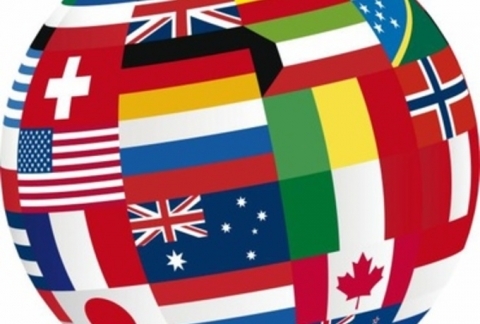 As you can imagine, a global business has bilingual employees. As a matter of fact, the vast majority of enterprises hire specifically bilingual employees due to the fact that they can serve customers in more than one language. Language isn’t an element that is separate from society, which is the reason why mastering a language is the only way to reach demographics. What corporations refuse to understand is that bilingual workers aren’t professional translators. Even if they perfectly master two languages, as if they were native speakers, they often have trouble rendering meaning from one language to the other. There are many aspects involved in the translation process, such as grammar, sentence, structure, and cultural aspects. The thing is that bilingual employees don’t always master all these aspects. If you’re ever going to become a multinational, don’t rely on your staff members. If you do, it’ll be at your own risk. At present, multinational organisations are forced to create competitive advantages, that is, if they want to stay in business for a long time. Basically, companies are required to meet the needs of the customers, which is easier said than done. It’s not possible to sell anything if the advert is in another language than that of the target country. No, the message needs to be formulated in the foreign language. The point is that you can’t afford to neglect translation. Translation is necessary for a coherent presentation of ideas. Everything from business processes to supplier relationships can benefit from the communication of meaning. When you hire a translation service, you establish a long-term relationship. The multinational company will need help on a daily basis, so it’s not actually possible to live independently. In other words, you will need to collaborate with professional translators on a daily basis. When it comes to choosing a professional translation service, make sure that you’re dealing with a company and not a shady agency. The best thing to do is to go with a reputable company. Also, it’s recommendable to pay attention to language experience. The very best translators are fluent in multiple languages. Look for a company that is keen on hiring native speakers.